-If you bought it at $130/lb from the auction, were you buying it for quality or for the bragging rights of purchasing this years most expensive coffee? -It's a hard coffee to roast correctly. If I were a consumer, would I be dropping $15/8oz cup on a coffee like this? From which one of the purchasing roaster's would I most likely get my money's worth? In what brew method? 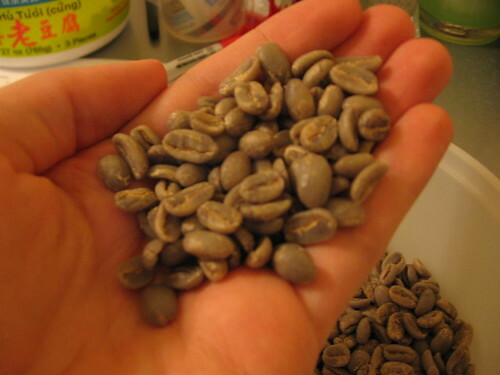 -I have green from the non-auction lot and sampled roasts by others of this non-auction lot. For me, this coffee seems to be an aberration but does that aberration earn the price? -I won't get all high and mighty casting down who should buy or what price it should be. I don't really care that much. I will say, I am happy these companies forked the cash for this coffee and set a new precedent in high prices. I could very easily drink this coffee every day, that said though, I personally wouldn't buy it at that price from a single one of them.